Mortgage rates sank to new lows this week as fears about a U.S. economic slowdown and the impact of the European debt crisis continue to make Treasuries and bonds that fund most mortgages look like safe bets to investors. While everyone would rather hear about positive economic growth, the silver lining for home owners or would-be homeowners is that buying not at these rates, or refinancing to a lower rate, can really cut your monthly payments and allow homeowners to pay off their mortgages even sooner than planned. The rates are almost unbelievable. Rates on 30-year fixed-rate mortgage (FRM) averaged 3.62 percent with an average 0.8 point for the week ending July 5, down from 3.66 percent last week and 4.60 percent a year ago, Freddie Mac said in releasing the results of its Primary Mortgage Market Survey. That’s a new all-time low in Freddie Mac records dating to 1971. For 15-year fixed-rate mortgages, rates averaged 2.89 percent with an average 0.7 point, down from 2.94 percent last week and 3.75 percent a year ago. That’s also an all-time low in records dating to 1991. Rates on 5-year Treasury-indexed hybrid adjustable-rate mortgage (ARM) loans averaged 2.79 percent, with an average 0.6 point, unchanged from last week but down from 3.30 percent a year ago. Rates on five-year ARM loans hit an all-time low in records dating to 2005 of 2.77 percent during the week ending June 21. For 1-year Treasury-indexed ARMs, rates averaged 2.68 percent with an average 0.5 point, down from 2.74 percent last week and 3.01 percent a year ago. That’s a new all-time low in records dating to 1984. “Recent economic data releases of less consumer spending and a contraction in the manufacturing industry drove long-term Treasury bond yields lower over the week and allowed fixed mortgage rates to hit new all-time record lows,” said Freddie Mac’s chief economist, Frank Nothaft, in a statement. Growth in personal expenditures was revised downward to an annualized rate of 2.5 percent in the final GDP estimates for the first quarter of the year, Nothaft noted. 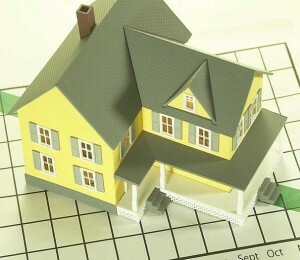 The Mortgage Bankers Association said demand for purchase loans increased by less than a seasonally adjusted 1 percent for the week ending June 29 compared to the week before, but was down 7 percent from a year ago. Central banks in China, Europe and Britain cut interest rates in actions that Reuters said signaled “a growing level of alarm” about the global economy. European Central Bank President Mario Draghi said the moves were not coordinated, and that conditions were “definitely not” as bad as they were in 2008, when central banks around the world took action to avert a financial collapse, Reuters reported. The U.S. Federal Reserve — which has helped keep mortgage rates low by buying up mortgage-backed securities guaranteed by Fannie Mae and Freddie Mac — could announce further “quantitative easing” when it meets next for two days beginning July 31. While low rates might not be stimulating more sales, they are definitely stimulating refi’s…if you have not refinanced your mortgage in a few years, or you want to drop your 30-year fixed to a 15-year fixed, this might be the time. Contact your mortgage broker to see if refinancing makes sense for you.